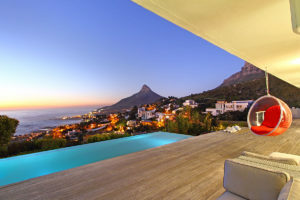 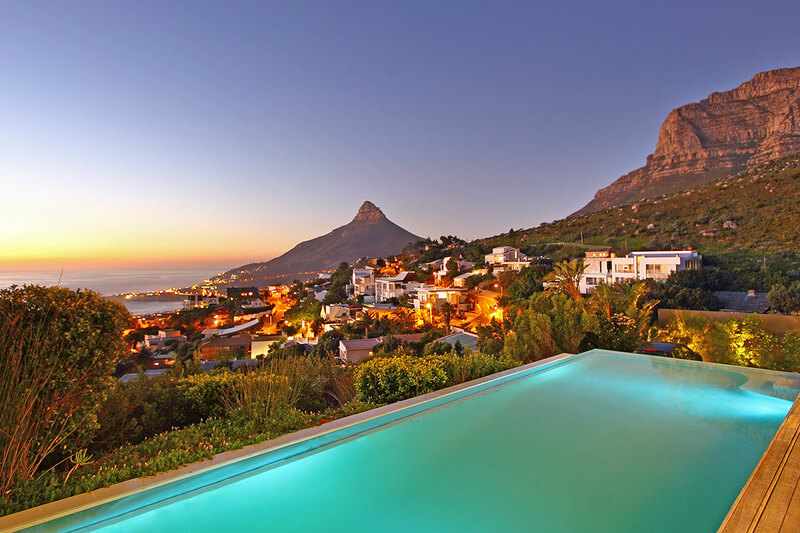 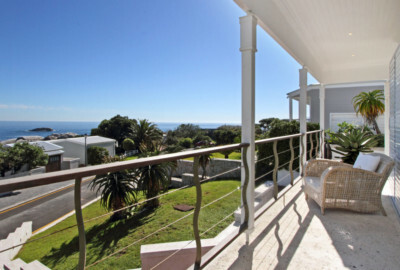 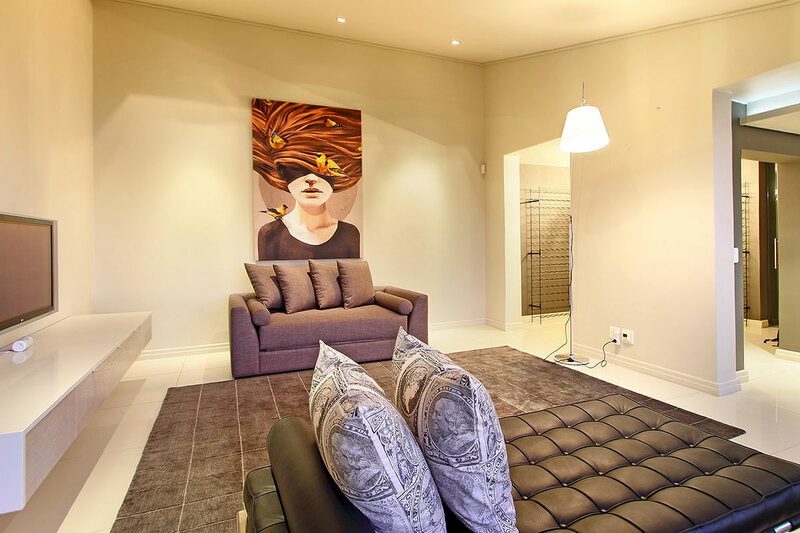 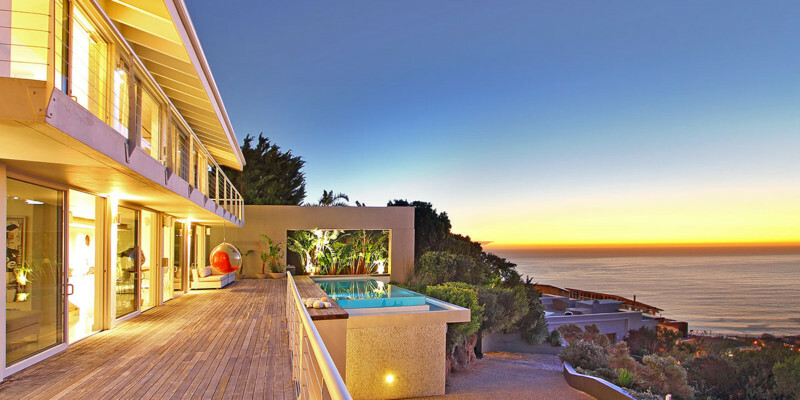 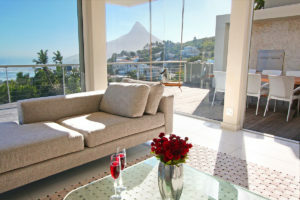 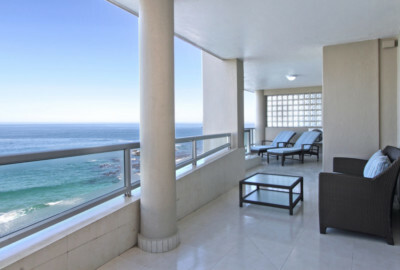 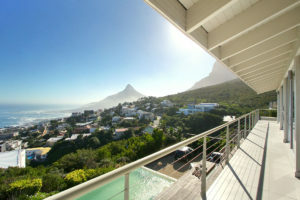 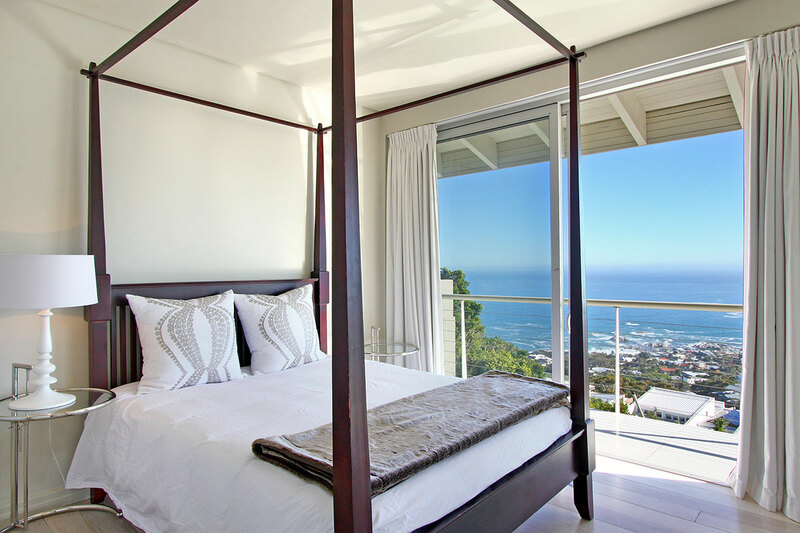 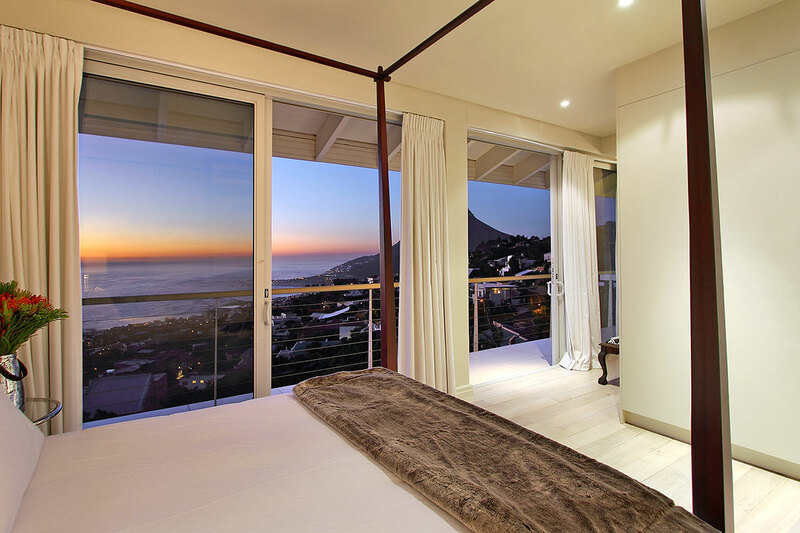 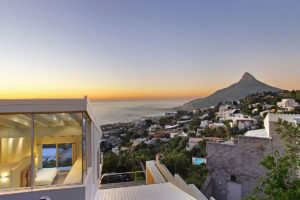 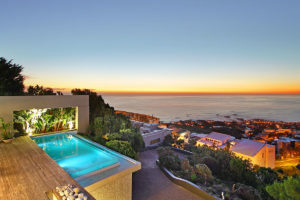 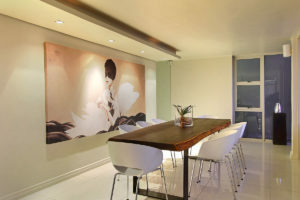 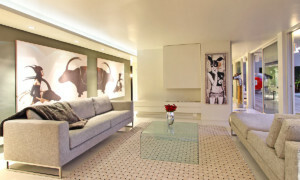 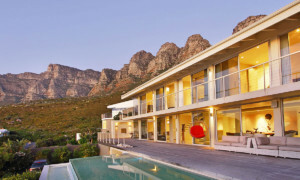 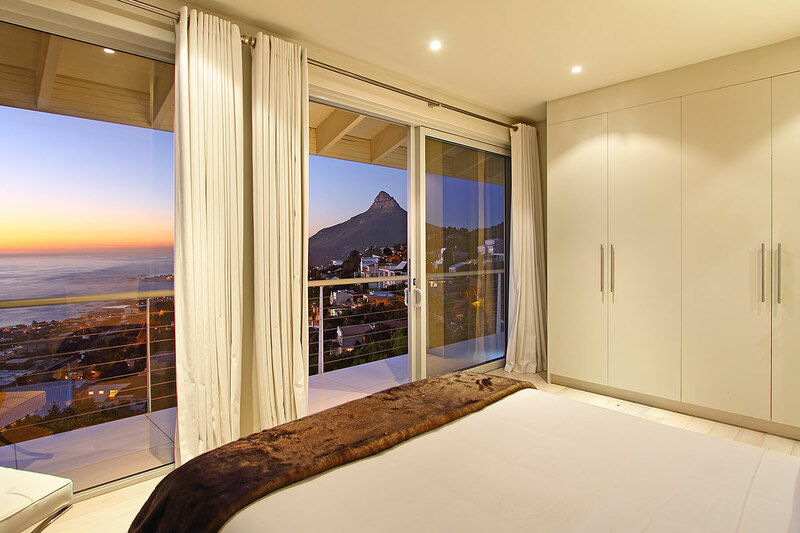 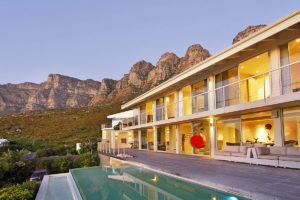 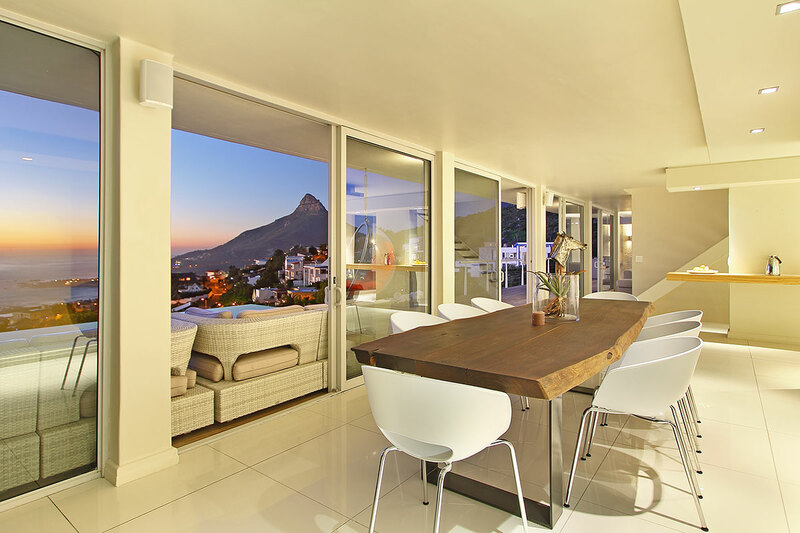 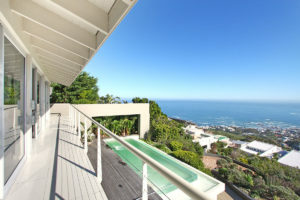 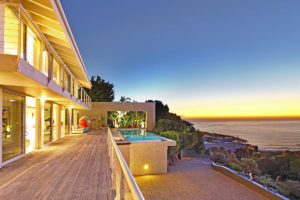 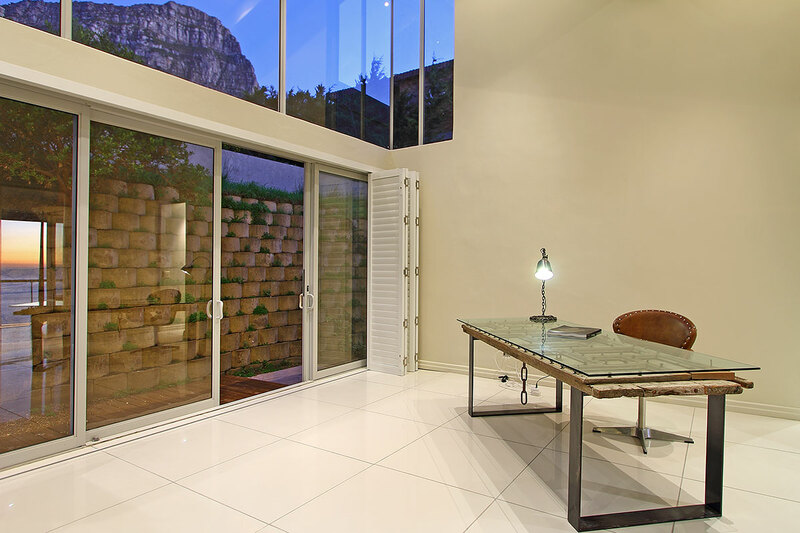 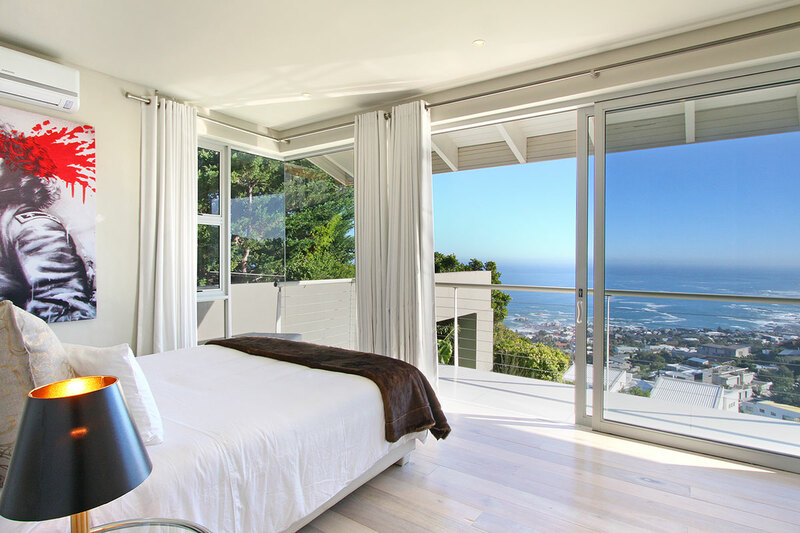 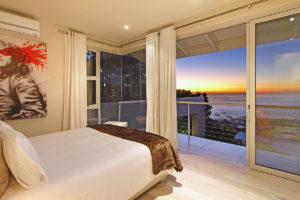 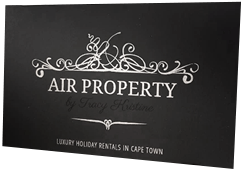 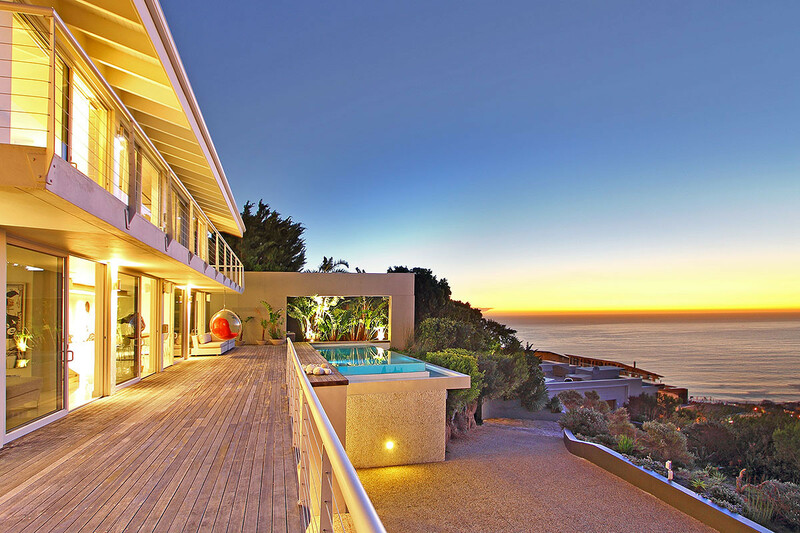 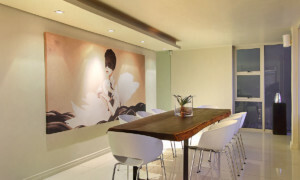 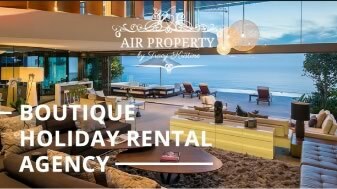 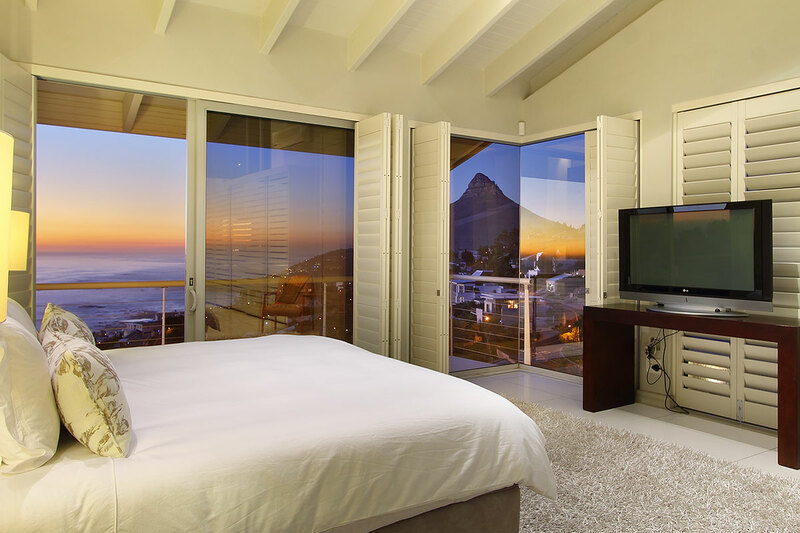 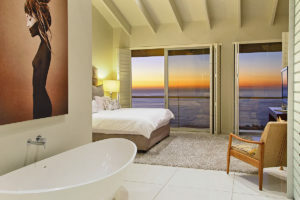 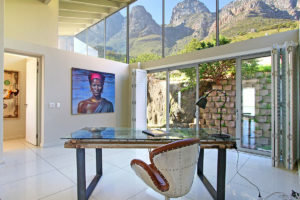 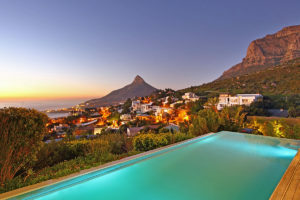 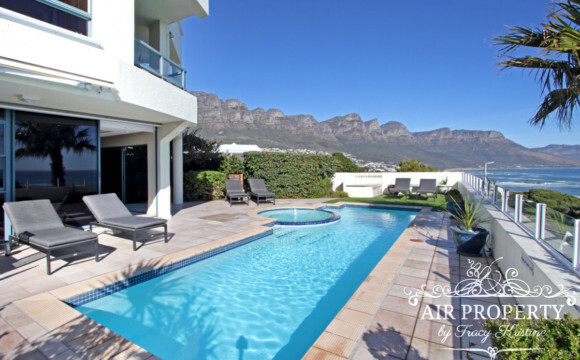 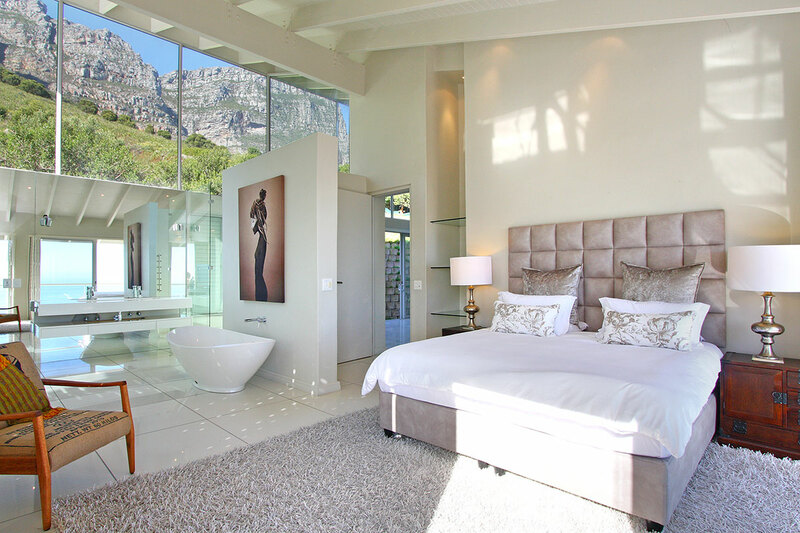 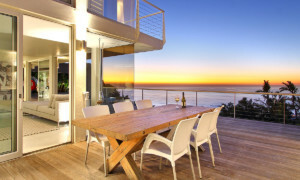 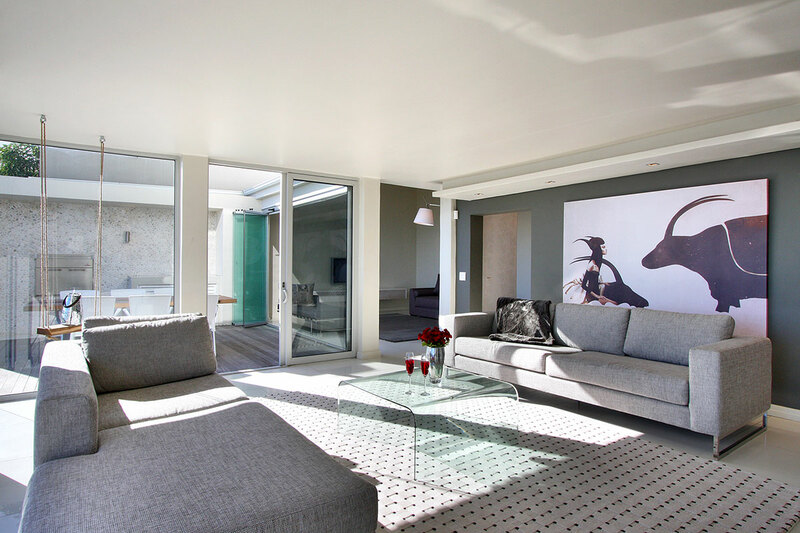 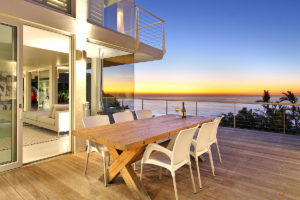 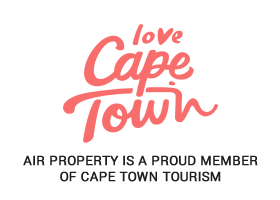 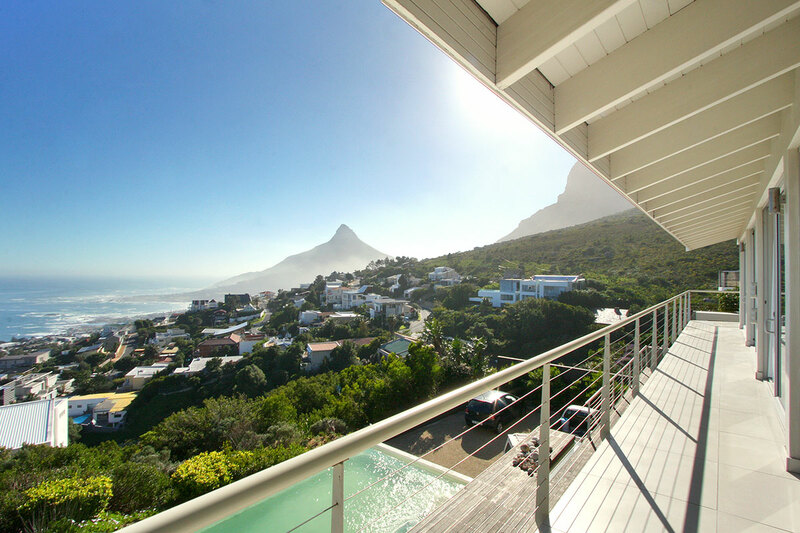 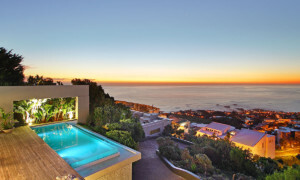 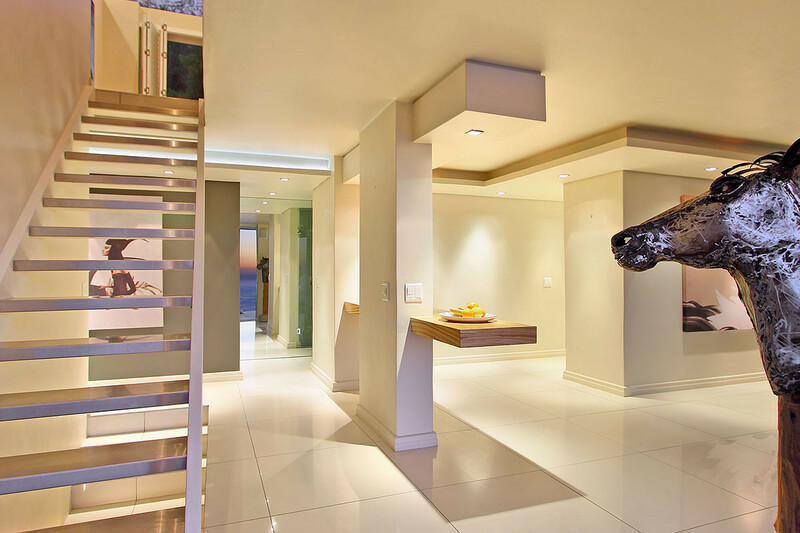 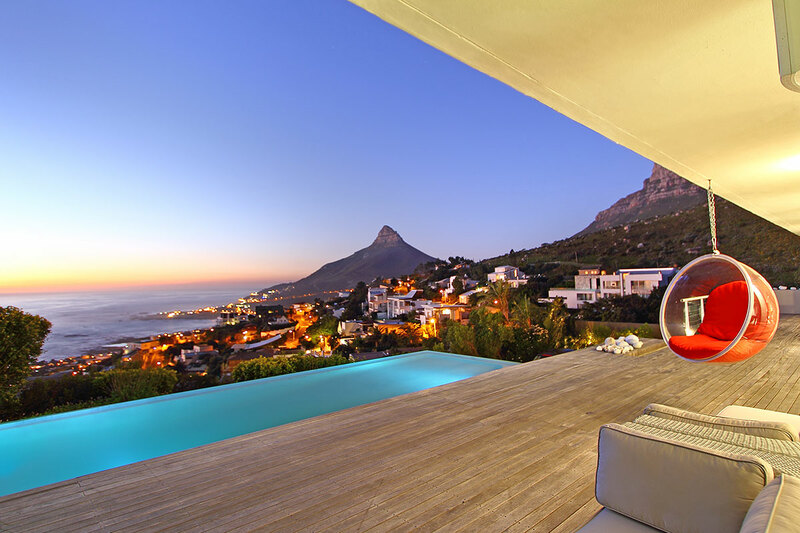 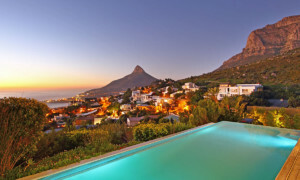 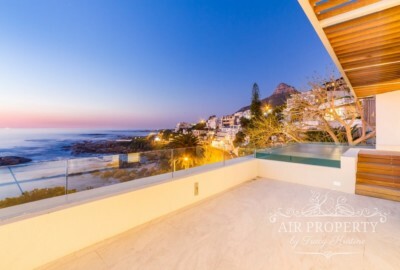 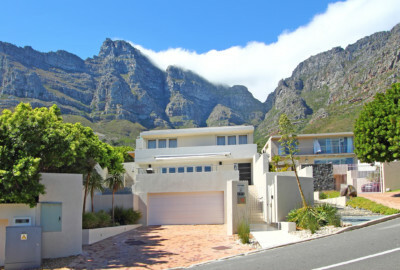 This modern three bedroom property boasts exquisite views of the Atlantic Ocean and Lions Head. 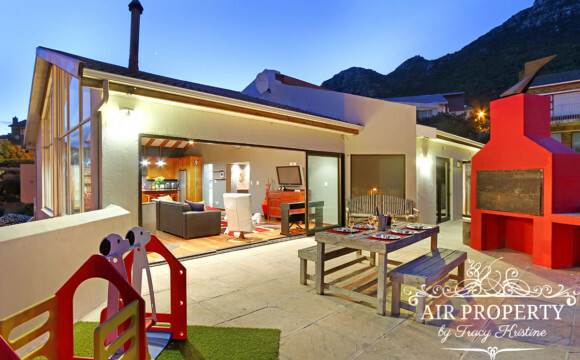 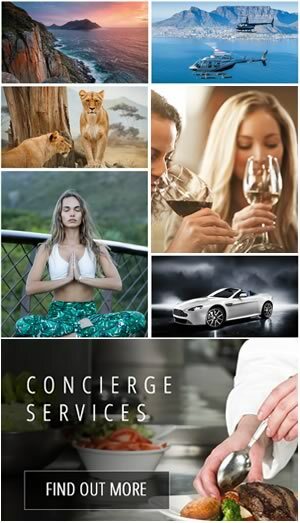 The living area, dining and seating look out onto a generous sized deck, with a pool area, built in barbecue facilities and an outside entertainment area. 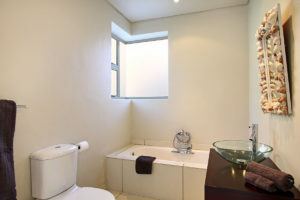 The kitchen comes fully equipped and has a separate scullery. 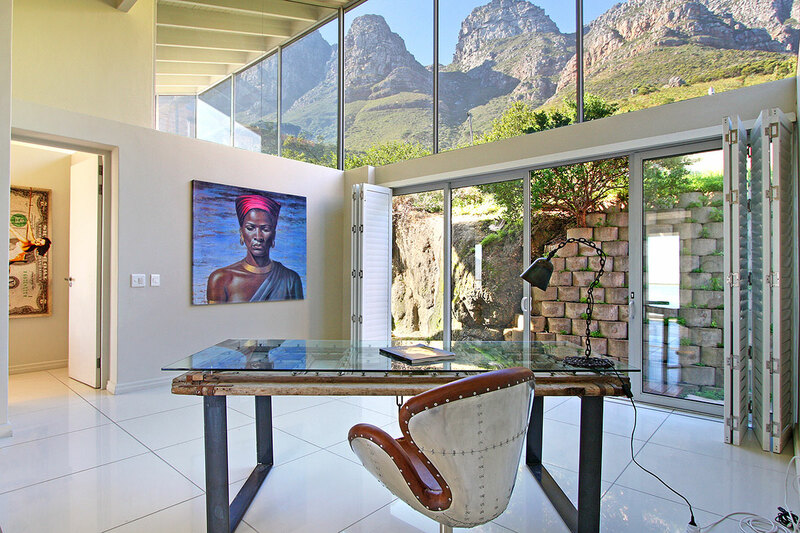 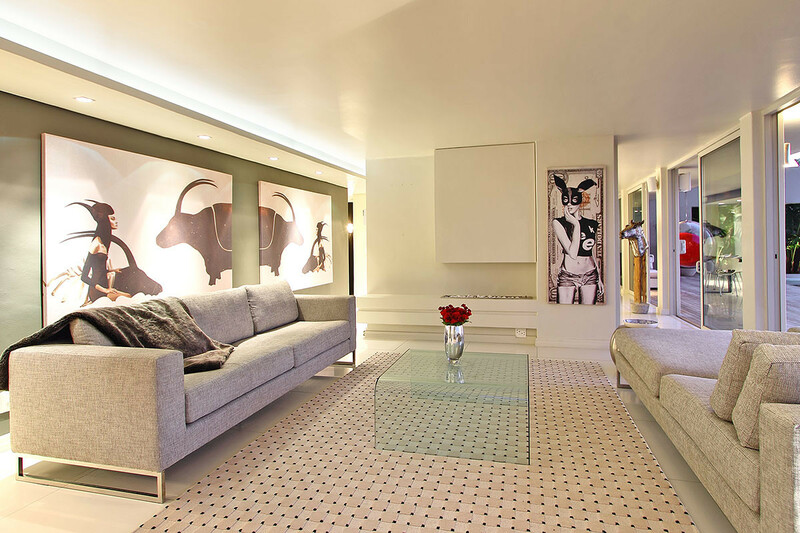 The views have been taken into account throughout the property giving it a spacious and airy feel. 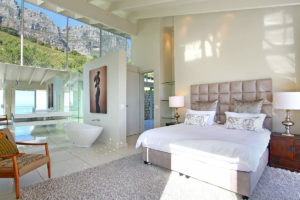 The upstairs level leads to the bedrooms and takes into consideration the breathtaking mountain views. All three bedrooms have access to the upstairs balcony. 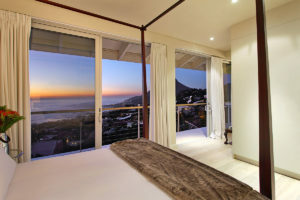 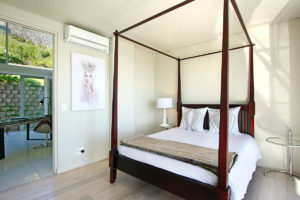 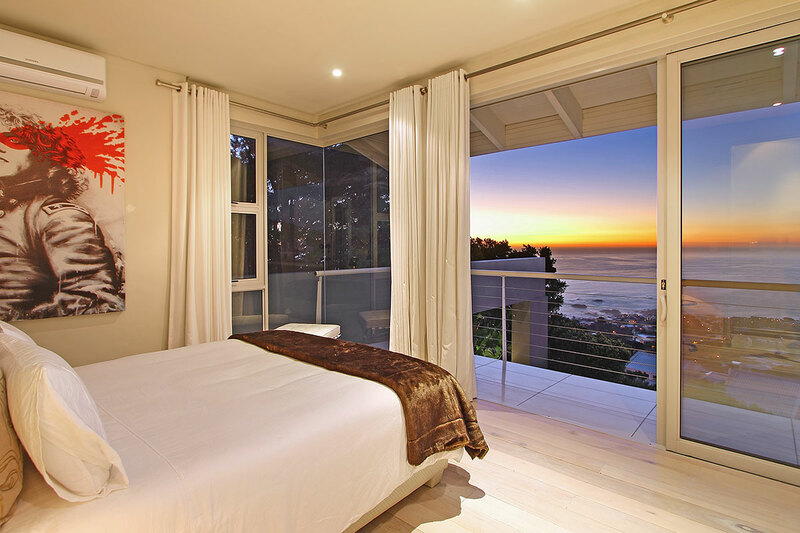 The main bedroom is an en-suite and opens itself to both sea and mountain views. 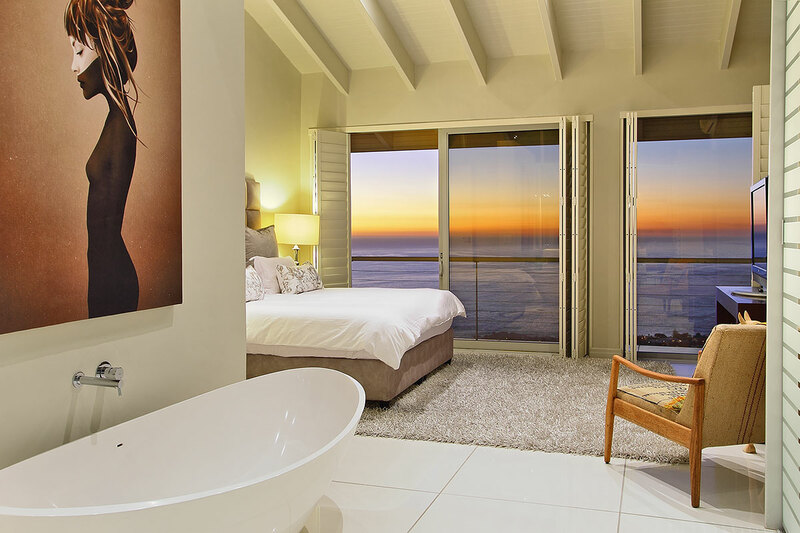 The second and third bedrooms both share a bathroom and are both sea facing. 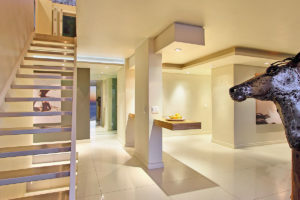 The house also comes with a double garage and there is enough space in the driveway to park at least one more car. This property is not suitable for young children and has two sets of steep stairs.